Costa Georgiadis, who has helped out Hobo Gro on several projects, came down to shoot the show at the Addison Road Community Centre where we have our main setup. 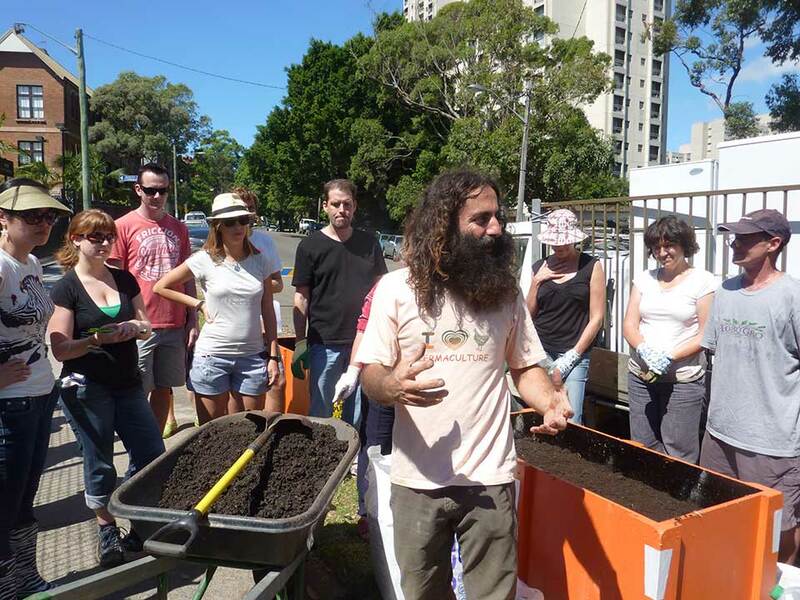 Costa Georgiadis from Gardening Australia helping out Hobo Gro with the Community Garden for the Salvation Army, Redfern. Costa donated seedlings to plant out our boxes.